Despite a line-up filled with former WCLL All-Conference players on both ends of the field, the Cal Poly Alumni team was trounced by the current Mustangs 21-3 in the 22nd Annual Alumni game. The game started as a tense back and forth battle with both teams creating excellent offensive opportunities. Current keeper Nick Czapla and alumni keeper Ryan Parr shut the door on numerous point blank shots, and midway through the first quarter the game was deadlocked in a scoreless tie. It was beginning to look like a repeat of the 2008 Alumni Game – a seesaw affair that the current squad decided in the game’s final seconds. But the current Mustang squad had other plans. Matt Graupmann snapped the scoreless spell on a nifty no-look feed from Colin Mason, and the floodgates opened wide as the current Mustangs rattled off eleven unanswered goals. The Mustangs dominated the game from that point forward, holding the alumni scoreless until defenseman Ari Elden finally cracked the net midway through the 3rd quarter. After the closely fought 2008 contest, it was a shocking result that hopefully bodes well for the 2009-2010 Mustang squad. Despite the old guy’s lopsided defeat, the 22nd Annual Alumni game was an enormous success, with the largest alumni turnout in the game’s history. 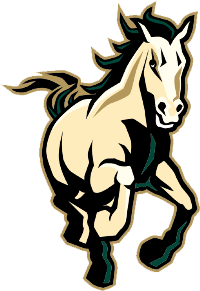 Cal Poly Lacrosse would like to thank all of our alumni for joining us in San Luis Obispo this year, and contributing to the program’s continued success.